However, there are a lot of benefits to the elliptical machine as it raises your heart rate more than the treadmill and it can also improve your fitness as efficiently as the Stairmaster or the treadmill. 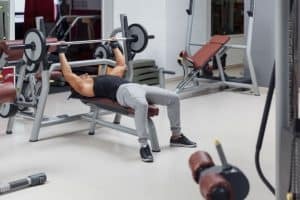 There is a right and wrong way of using this machine, and you need the right form and the right plan of attack so that you can get a killer workout using the machine. One of the best brands for elliptical machines is the Schwinn Elliptical Machine. This company is well-known in the fitness industry. It was founded in the 1890s during the era of bicycles, and it became the top outdoor biking brand. Schwinn also added some exercise bikes made for the home in its lineup in the year 1965, and now the company has produced treadmills and elliptical trainers made for home. The Schwinn equipment is reasonably priced, and it has two standard models, they are the Schwinn 430 and the Schwinn 470. They are included in the Active Series. Below is a thorough review of both elliptical machines. Is there a drawback on elliptical machines? The Schwinn 430 is an affordable elliptical machine with arm bars that can be moved. It gets the attention of customers because of its price however it is comparable to other ellipticals which are average-priced. The stride path of this machine is 20 inches long, and its console has Bluetooth option for those who like to listen to music while they work out. The parts may not be very durable, so it may not last long especially if it is used every day. It is the best starter model when it comes to quality. It has two window system that is LCD, and that is dual tracked so you can check up to thirteen different feedbacks on display. It has a goal tracking option called the Schwinn Connect, and you can export data and keep up to date on your daily fitness goals. There are 22 different types of programs, two separate settings, and a goal tracking option, and they are all available to keep you challenged and motivated. 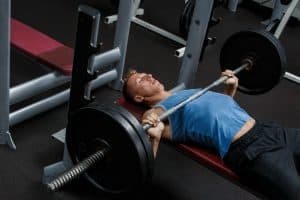 There are also 20 different levels of body resistance that is in line with high inertia and high-speed perimeter flywheel that is weighted that can make every exercise quiet and smooth. The Schwinn 470 Elliptical Machine has Bluetooth connectivity, so you can listen to music on your phone as you work out. You can also track your workout capability and help you achieve your health and fitness goals. This machine blends the user-friendly technology with intuitive design that can make your overall cardio plan and work out smarter and more enjoyable. As for its technology, the Bluetooth connectivity that it has syncs with the machine’s free Schwinn Trainer Application that could help you with your fitness tracking. It also syncs with the Run Social Application so that you can run through 19 different locations with 27 different routes alongside other customers from around the world in real time. The best thing is that this application is free. It also has 29 different programs, 12 different profiles, nine range of heart rate control, four types of custom, two kinds of fitness test and one option for the quick start. As for the performance and quality, it has 25 different levels of resistance that is needed for a wide selection of workout intensity options. It has 20 inches of precision path stride. It has high inertia and high-speed drive system with a perimeter flywheel that is weighted that can help you to start up easily and smoothly, thus giving you a consistent workout. As for its comfort and usability, it has large foot plates that are cushioned thus making it comfortable to use, and it makes for a low-impact workout. The ramp is adjustable and motorized, and it enables incline changes as it is user controlled. It has in-console speakers that are media shelf, and it has an MP3 input port, adjustable fan and charging port. The company Schwinn is known for their bicycles made from the highest-quality materials, and they are also known for elliptical machines that are made with the same precision and quality. The Schwinn 430 Elliptical Machine is one of the company's best elliptical machine, and it has 22 different preset exercise programs and 20 different resistance levels that could help you to reach your overall fitness goal. This front-drive and the amazing elliptical machine is easy to step up on, and it is also very stable. It is over five and a half feet long, two and a half feet wide and a five and one-fourth feet tall in measurements. The stride is fixed at around 20 inches which is a standard length for strides. It has an LCD consoled that measures three by 5 inches, and it can display your time, the calories you have burned, your distance and your resistance level. This elliptical machine can also support up to 300 pounds. While some elliptical machines are compatible with other features such as the chest heart rate monitor, the Elliptical 430 does not have this feature. However, you can still monitor your heart rate by holding on to the stationary handles during your workout for at least 10 seconds. This can give you an accurate overall measurement of your heart rate, and you can also check it at any time during your workout. The Schwinn Elliptical machine does not have the feature to adjust the incline while working out. It is not an issue if you want to work against the resistance. 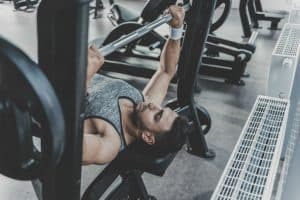 However, it makes it difficult to target specific muscle groups without having to halt your routine and then changing the incline by lowering or raising the handle. You can also connect Schwinn Connect application or the MyFitnessPal application to monitor and to track the distance, time and the calories that you have burned for each of your workouts. This is also the best way to motivate yourself and hold yourself accountable so that you can reach your overall fitness goal. The Schwinn 430 Elliptical Machine has a lot of built-in features and accessories such as the speakers, the MP3 player input, the water bottle holder, the book or the tablet holder and the cooling fan with three range speed. They also provide ten years of warranty on the frame of the machine and two years of warranty on the parts, and it covers labor on the machine for a year. If you need any assistance, you can always contact the company by email or by phone. You can also download their user manual that is available from the website of the product. The Schwinn 470 Elliptical Machine is the most budget-friendly elliptical machine in the market. The Schwinn 470 has a flywheel that weighs 20 pounds, and it is the minimum recommendation for the weight for a machine of the highest-quality. It has a stride of about 20-inches for its length as that is the average requirement. It also has Schwinn’s technology called the Precision Foot Motion of its path which is made to simulate a running motion that is natural. It also has massive footplates that could help you keep a comfortable positioning on your foot the whole time that you are working out. This machine has handlebars that are moving, and they are ergonomically placed. It has a speed fan with three stages, a holder for water bottles that is center-mounted, and it also has a sound system that chamber speakers which are sealed. These are just some of the convenience features of the machine. The machine also has a charging port for USB, and it has handles that have grips for the pulse that could track your heart beat rate as you work out. It is also compatible with telemetry monitoring for heart rate, but you have to purchase a strap for your chest separately. Telemetry tracks and monitors the electrical activity of your heart throughout the time of your exercise, and it can also monitor your blood pressure and your blood-oxygen levels. This elliptical machine has 25 different levels of current resistance, which uses a type of electromagnet that is near the weighted flywheel that can help produce a level of resistance. It also has an inclined ramp that is motorized and measured around 10 degrees, and it is used to make your exercise more challenging. It also has wheels for transport that could help you to move it easily. The Schwinn Elliptical Machine is a light machine as it only weighs around 164 pounds. This means that it could only accommodate a maximum weight of 300 pounds. Because of its size and weight, some may find the machine a bit cramped to work out on. This machine has 29 different workouts presets that you could choose from, it includes fitness tests, custom options, and heart rate control programs. The machine’s console can accommodate up to four different user profiles, and you can also check up to 13 different feedback categories including calorie goal, time and distance. You can also transfer all of your workout data to various applications such as RunSocial Application, GoogleFit, Apple Health, MyFitnessPal, UA, MapMyRun or Ride, and the Schwinn Trainer Application. This machine also has an LCD screen that has a blue backlit and measures around five inches in width. It has a track display that is dual, and it lets you see your workout data located at the bottom of the screen when you are using the tablet or book rack which blocks the view of the top screen. This machine also provides the standard shipping rate once it is purchased. It assembled dimensions is 70x28x63 inches in length, width, and height. This machine also offers a warranty of 10 years, and they have a warranty of 90 days to cover the labor. You can reach the company by email, phone or on Facebook if you need any assistance or if you have any questions. Elliptical machines have great benefits, and they offer low-impact exercise while it works out on your lower and upper body. They are also very appealing for older people who still want to be active. Elliptical machines are great for those who have joints which are aging, and it also provides you with a great aerobic exercise, it helps you burn calories and overall it helps you lose weight. Here are some benefits of using elliptical machines. Elliptical machines can reduce the strain and the stress on your feet and legs through its motion. Your feet will never leave the machine’s pedals. It feels like you are walking in midair. When you walk or when you run, each step causes a type of jolt to your entire body. It is said that runners have at least 2.5 times of overall impact in their entire body weight. It affects not only your joints in your knees and legs, but it also has an impact on your lower back. Even though walking has less effect and impact on your body especially your legs, the elliptical machine is still better. It has a natural path for leg and foot motion. Elliptical machines do not have reverse action. Its shape movement mimics the real and the natural path of the knees, the hip joints, and the ankle during running, jogging or walking. It helps to lessen the strain on your body joints. Elliptical machines are made with foot pedals that are articulating so they can confirm your overall stride. Your feet will never leave the pedal, and the pedal automatically adjusts to the overall angle of the stride in the elliptical machine. An elliptical machine gives weight-bearing workouts which is essential for people who have osteoporosis or those with early signs of osteoporosis. It is a lot better than the stationary bicycle which is another fitness machine. It exercises both your lower and your upper body. Elliptical machines are unique because they can help you exercise both your lower and your upper body. There are no other fitness machines that could work on many muscle groups simultaneously. That is the reason why many trainers prefer to use elliptical machines as you can work on your hamstrings, quadriceps, back, glutes, chest, biceps, and triceps. 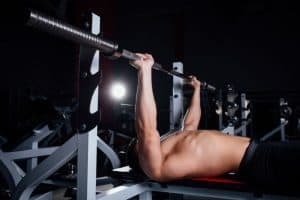 For you to get the full benefits of the workout, it is also important that you can distribute the overall resistance between your lower and your upper body. 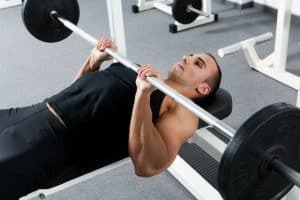 There are those who place most of the resistance on just the lower or just the upper part of their body when they workout, and they also only go through specific motions with the handlebars. It burns more calories in less time. The best benefits from the workout and using more muscles is that you can tone your whole body. You can also use your energy expenditure. You can burn more calories and overall fat in less time than necessary. It is also said that there is a less perceived rate of exertion with elliptical machines. You can exercise harder without you knowing that you perceive them. You can enjoy its exercise programs. 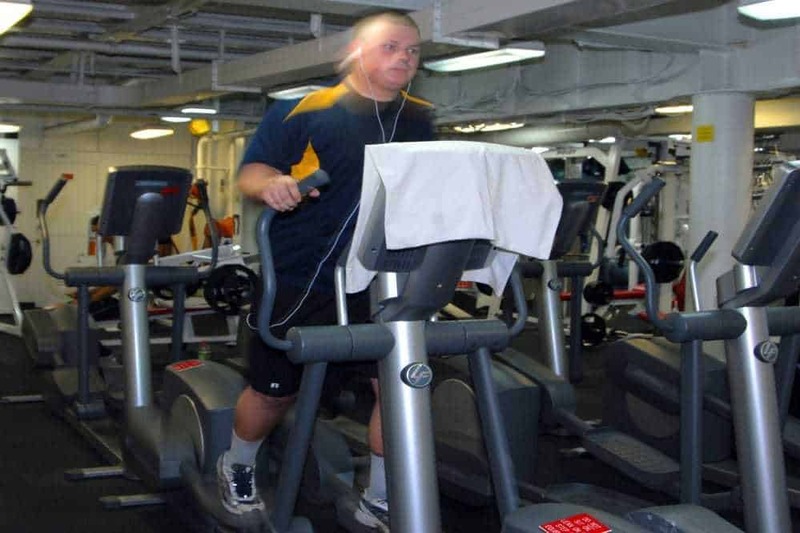 Elliptical machines, like the treadmills, have different sorts of exercise programs that are challenging. These types of programs mimic interval training, hill climbing and other exercises through alternating resistance. There are elliptical machines that are equipped with a heart rate control that is wireless which then allows you to check your workout by taking note of your resistance level and your heart rate control. Another benefit of an elliptical machine over the treadmill is that it has reduced maintenance. Because of the low-impact motion on elliptical machines and because there are fewer parts that are moving, an elliptical machine is less likely to need service. You do not have to think or worry about motors, belts, bearings, and rollers burning out. Elliptical machines are very beneficial for your cardiovascular system as exercising on it can increase your heart rate, and it can even strengthen your heart. It can also increase your body’s aerobic capacity. It can result in better and stronger lungs and heart, and it is also an excellent system to heat your body. This machine is often called a powerhouse by trainers amongst cardio machines. The answer is yes. Some people may find the elliptical machine with dual action exercise a bit awkward, and they are more comfortable with jogging or walking on a treadmill. Some elliptical machines have different sets of width for their pedals that may be narrower or wider when it comes to its stance, so some may be comfortable to use, and some may not. 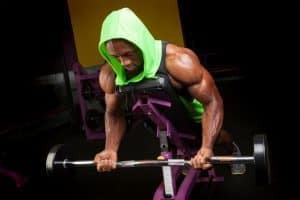 You must not lean forward on the machine as it is a bad form and you may not get the full benefit of the elliptical machine as no force is exerted. For a lot of people, the dual action exercises that elliptical machines provide makes it appealing to them. It is best to give it a try before you decide to purchase it as it will also depend on the type of exercise that you want and on how you want to tone your body. You can also visit your local gym to try the equipment out and see if you notice any difference. As for the brand, Schwinn is one of the best when it comes to elliptical machines, and two of their best models are the 430 and the 470. However, through thorough research, it is safe to say that it is the Schwinn Elliptical 470 that is the best elliptical machine in the market today. This elliptical machine as a lot of selling points. There are also a lot of features that it can offer such as the power incline, the Bluetooth option for exporting data, the compatibility feature on fitness applications such as RunSocial, MyFitnessPal, Apple Health, Google Fit and more and the wireless option for monitoring your heart rate. This machine works exactly how it is intended to work, and it is in favor with those who want elliptical machines because it is budget-friendly. It may not be as durable as you want it to be, but it can do what it made to do.